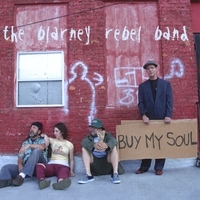 "The talent of the Blarney Rebel Band is immediately evident through their musicianship. [The Blarney Rebel band] puts on one amazing show and is talented beyond words." "They're the number one traditional Irish Band in upstate New York, and this disk will show you why. You should be in an Irish pub right now, but if that\'s impossible, the next best thing is to put on this disk and pour yourself several pints of stout. 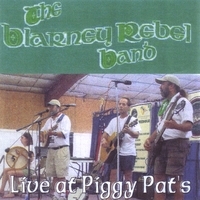 All of your favorite pub tunes are here, and it's all on display by a group of talented musicians boasting virtuoso musicianship and perfectly blended harmonies, sure to please old and young alike"
"The Blarney Rebel Band is the perfect example of what happens when everything just goes together right. Both lively and delightful, this CD is a great one to add to any Celtic music lover's collection. This album offers four traditional songs as well as seven originals, and it makes for a nice blend. In terms of the "mood", there's a little something for all tastes here, from the pretty to the peppy. The enthusiasm for the music shines through." "Like a perfectly poured pint of Guinness, "Buy My Soul" improves with each listen and that's of great worth to anyone fond of Celtic music." If you give this CD a listen you'll feel an honesty and passion for Celtic music that is unmistakable. Tie that together with stellar musicianship and a rollicking good mix of tunes and you have a recipe for a truly great album. 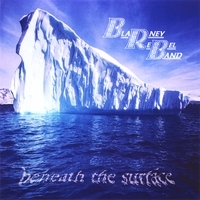 That is what the Blarney Rebel Band serves up here on "Beneath the Surface". The players are from central New York , and they do traditional Celtic music proud. Great renditions of favorites such as "Raggle Taggle Gypsy" provide a surge of energy as they sit beside cute tracks like "I Know My Love" and quieter offerings such as "Legacy". The mix provides balance and variety, and it seems as though every one of the musicians here carries their weight and takes turns in the spotlight. Working together as a team, they have put out a solid CD of 14 tracks that are sure to please Celtic music lovers. 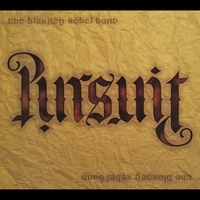 "Some might try to write The Blarney Rebel Band off as another traditional Irish-American folk band but this recording proves that there is more beneath the surface. The album shines, which is a testament to the strength of the songs and arrangements and the passion and honesty of the performances." - Trevor Lewington, Enter the Haggis. - Craig Downe, Enter the Haggis. "This new recording by the boys from Central New York is a solid piece of work from start to finish. Many of us have enjoyed the live shows this bunch puts on; I would say that "Pursuit" brings out the best details that tend to get overlooked or missed in a live mix. The production crackles and pops, with all the instruments well- recorded and balanced in the mix. The guest musicians (fiddles, cello, bodhran, etc.) add some nice touches as well. I must say that a couple pleasant surprises about this record are the quality of the songwriting and the guys' vocal harmonies. In spite of the fine production, the listener feels a great pub atmosphere coming through, as if we're all sitting in a warm room with a bunch of good friends (after a couple of straighteners, of course). The voices blend really well. Highly recommended!"